Lurvemork has figured out what Ethan’s saying in the last panel. 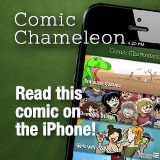 I’ve got a guest comic over at Chris Hallbeck’s Maximumble! It took me fooooooooorever to draw. Go check it out. If you have like Transformers phobia or something, don’t worry, I’ll also be at San Diego Comic-Con a few weeks later.